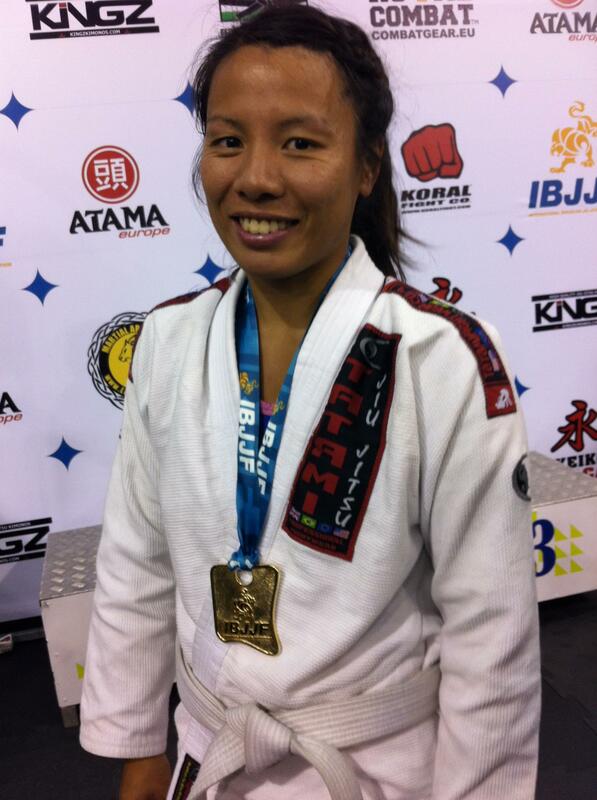 Congratulations to Tiger Muay Thai and MMA training camp, Phuket, Thailand alumni Varaporn Poorisrisak on her well deserved Gold Medal at the recently concluded European Brazilian Jiu Jitsu Championships. A three stripe White Belt who trains full time at the CSA Denmark academy, Vara weighed in nearly 4 kilos below the weight allowance for her division. With nearly 2,500 competitors the European’s is one of the largest IBJJF tournaments in the world. Winning three consecutive matches, Vara became the first Thai female to capture a Gold medal at the European BJJ Championships.